Arched Shell for superior protection. rugged nylon oxford cover with full length music pocket, and locking latch. fully French-fitted with suspension and matching blanket. 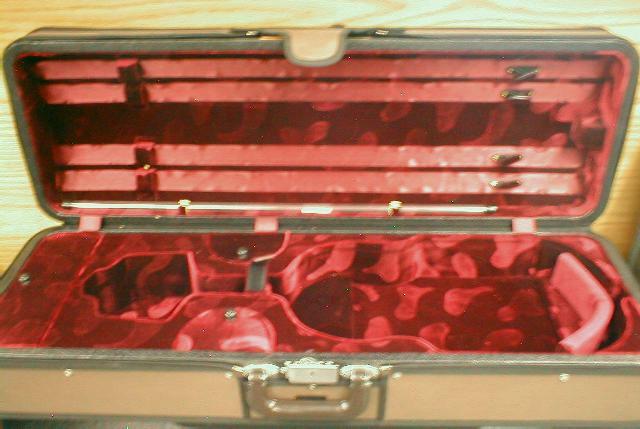 four bow holders, string tube and accessory compartment. Fully adjustable strap included.